When Paula Montgomery-Hardy felt a call to missions, they told her it couldn’t be done. 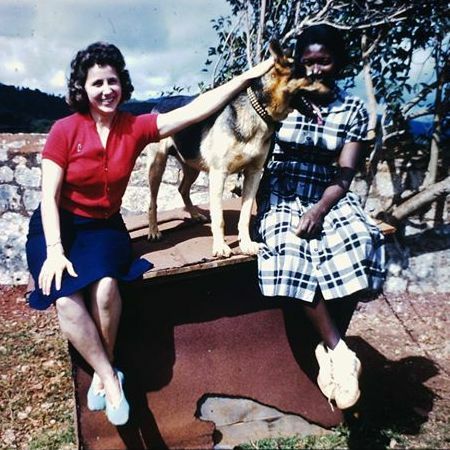 “No mission board, and no church is going to send you, because you are Deaf,” they told her. But her parents gave her one powerful weapon. They told her to pray. Paula prayed, and God did something amazing. God brought a man from another country to tell her about an opportunity in Jamaica. Support from people like you came in, and Caribbean Christian Centre for the Deaf was born. Paula Hardy went from a young Deaf woman who “couldn’t be a missionary” to a young woman who was leading the first Deaf person to Christ, through CCCD, on the mission field. She began with four students… God grew it to four campuses. Hugh Anderson graduated from Knockpatrick campus in June and is now a chef at the Jewel resort in Ocho Rios. Tashi Widmer, once a student of CCCD, is now CCCD Jamaica’s first Deaf CEO. They are proving that Deaf can, just like Paula did 60 years ago. Our needs are real, and God’s provision is still pouring in. Your support is critical to that equation. You are the driving force that enables God’s work to continue. We couldn’t do it without you. God brought change, and he used you to do it. Gifts from people like you have been helping this organization for 60 years to educate, give a language, share the gospel, create job opportunities, foster community inclusion…and more for the Deaf of Jamaica. And we want that to continue. We are so grateful for your support, and we hope you will consider us as you plan your year-end giving for 2018. We have exciting news: Your gifts this year will be doubled because of a matching grant. Please consider giving whatever you can to help this work continue. Our missionaries and staff members cannot do what they do without your help. Your support is enriching lives.